The Focus is a high-capacity crane that can be erected vertically in a very small area. Mammoet has announced that it will move forward with the development of the Focus, an innovation which will set a new standard of heavy lifting in confined spaces. The Focus is a high-capacity crane that can be erected vertically in a very small area. This makes it the ideal heavy lift solution for efficient and safe project execution in limited and congested spaces, such as plants and inner cities. After the announcement of the concept in 2018, Mammoet has made adjustments to the initial design which further improve its performance. 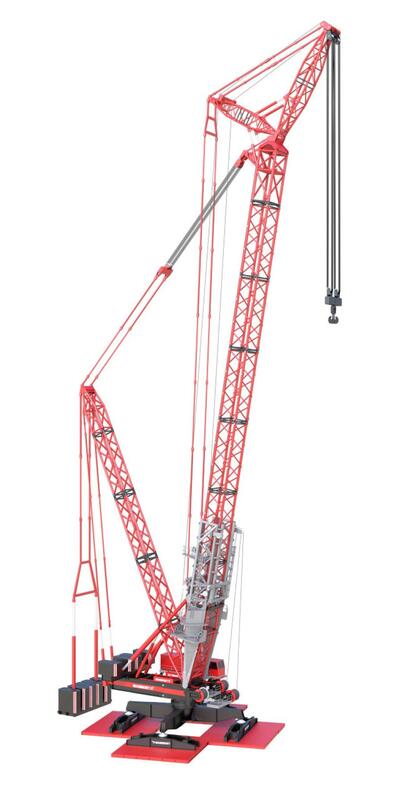 With the design finalized, Mammoet is ready to launch the Focus in the market and revolutionize the industry once again with a crane that can perform in a way other cranes can't. Following the initial announcement of the concept, Mammoet has altered the design to further enhance its value to project execution. In the improved design, the crane's upper structure is placed on a pedestal, enhancing the crane's stability and lowering ground bearing pressures to less than 10 tons per sq. m. The crane requires a minimum amount of space for assembly and operation, just 22 by 22 m surface. The second improvement is in the assembly of the crane. The Focus utilizes a climbing frame to build itself vertically, as opposed to the initial principle of an extension ladder. This is similar to the proven concept of a tower crane. ‘Sterilizing' larger parts of a plant area for crane assembly is no longer needed and there is no need to build over live pipe racks in a plant. In all, the assembly process is less complex, safer and more efficient, and significantly reduces the costly downtime of assembling a crane. The new design will also include a variable superlift system, with a radius that can be adjusted under load from 16 to 30 m. This will increase the crane's flexibility, delivering a larger operational window, especially in congested areas. "Mammoet is excited to commence the development of the Focus as we see it as a cost saving solution for many of our customers within the power, petrochemical and civil sectors," said Mammoet Innovations Director Jacques Stoof. "We have worked closely with these customers to listen and understand their current and future challenges. The Focus is a direct response to their need for greater lifting capacity and flexibility within limited and congested spaces. This crane will make a significant difference to the way we serve our customers." The first Focus crane is expected to be available in the second quarter of 2020. For more information, visit www.mammoet.com.